April is Mathematics Awareness Month, so we want to see how many books wwe can read and what mathermatical fun we can have with these books. 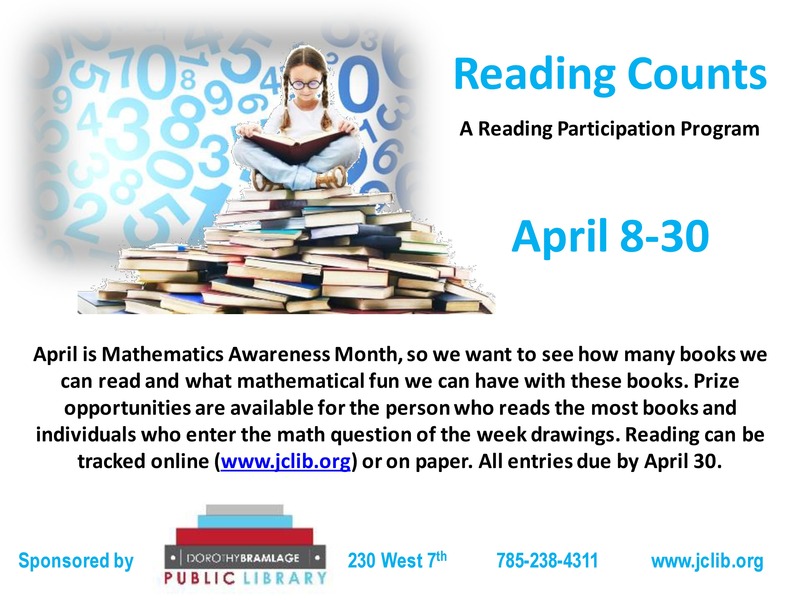 Prize opportunites are available for the person who reads the most books and individuals who enter the Math Question of the Week drawings. Reading can be tracked online (www.jclib.org) or on paper. All entries due by April 30th.